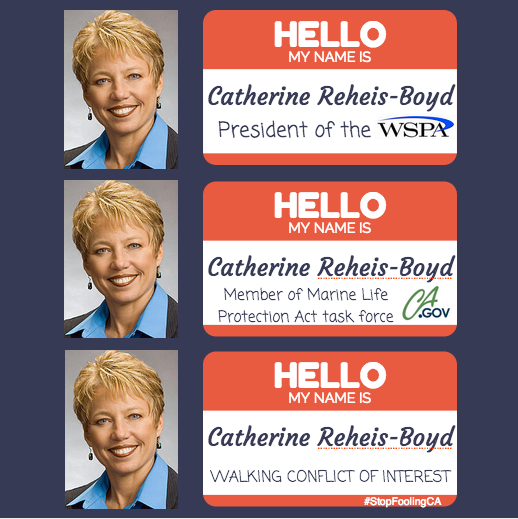 The Western States Petroleum Association (WSPA) is not a household name in California and the West, but it should be. WSPA is the trade association for the oil industry and the largest and most powerful corporate lobbying organization in California. It represents a who’s who of oil companies including Aera Energy, Chevron, California Resources Corporation (formerly Occidental Petroleum), ExxonMobil, Phillips 66, Shell, Valero and many others. Yet most people I talk to — even many environmental activists — have never heard of the organization and the enormous influence it wields over politicians and regulators in the western states. “WSPA is dedicated to ensuring that Americans continue to have reliable access to petroleum and petroleum products through policies that are socially, economically and environmentally responsible. We believe the best way to achieve this goal is through a better understanding of the relevant issues by government leaders, the media and the general public. Toward that end, WSPA works to disseminate accurate information on industry issues and to provide a forum for the exchange of ideas on petroleum matters,” the website proclaims. WSPA's headquarters are located in Sacramento, just across from the State Capitol. Additional WSPA locations include offices in Torrance; San Francisco Bay Area; Santa Barbara; Bakersfield; Scottsdale, Arizona and Olympia, Washington. While the mainstream and alternative media have published some articles about aspects of WSPA’s enormous influence over politics in the West, none have looked at the overall strategy of how WSPA and Big Oil exert their power and influence. In this article I will explore how WSPA and Big Oil use their money and power in 5 ways: through (1) lobbying; (2) campaign spending; (3) getting appointed to positions on and influencing regulatory panels; (4) creating Astroturf groups: and (5) working in collaboration with media. The biggest-ever gusher of Big Oil lobbying money into the state in one quarter was from July 1 to September 30, 2015. This resulted in the gutting/amending or the defeat of every bill that the oil industry opposed in the last session of the State Legislature. WSPA set a new record for spending in one quarter when it spent an amazing $6,750,666.60 lobbying state officials in the third quarter of 2015 to lobby against Senate Bill 350, Senate Bill 32 and other environmental bills it opposed. The total spent by the oil industry in the third quarter was an unprecedented $11 million. That $17.7 million included approximately $9.3 million from WSPA, $3.3 million from Chevron and $5.1 million from Exxon, Valero and other oil companies. With help from the "Big Oil Caucus," a group of oil industry friendly Democrats, the oil industry was successful at halting other important bills aimed at better regulating its practices. These included AB 356 (Williams), SB 248 (Pavley), and SB 484 (Allen). These bills would have reformed the state’s Underground Injection Control (UIC) program by requiring disclosure of chemicals used in well treatments or injections; ensuring that oil and gas projects do not contaminate aquifers containing water suitable for drinking and irrigation; requiring the State Water Board to review aquifer exemption applications; and/or requiring the shutdown of illegal injection wells if regulators fail to shut them down. The industry also notably stopped a bill to protect the coast from oil spills, SB 788, sponsored by Senator Mike McGuire, despite the fact that California was still recovering from the May 2015 Refugio oil spill. The California Oil Lobby remains the biggest spender in the 2015-16 legislative session, spending an amazing $32.4 million so far. "That’s the equivalent of dropping $50,750 EVERY DAY since January 1, 2015," reported Stop Fooling California, stopfoolingca.org. Although the Western States Petroleum Association usually captures the top spot in the quarterly lobbying expenses listed on the California Secretary of State’s website, Tom Steyer’s Next Generation Climate Action, a campaign committee, actually beat the oil industry trade association in spending in the seventh quarter of the 2015-2016 Legislative Session. WSPA dumped $2.6 million into lobbying legislators and state officials in the seventh quarter, while Steyer’s group spent an unprecedented $7.3 million, almost 3 times the oil industry group’s expenses. The spending by Steyer’s group helped propel the passage of Senate Bill 32, legislation that reduces greenhouse gas level to 40 percent below 1990 levels by 2030, in spite of strong opposition by the oil industry. Prior to the passage of this bill, virtually no legislation opposed by the oil industry in the past few years was able to make it out of the Legislature without being gutted, as in the case of Senate Bill 4, considered the “greenlight for fracking” bill by anti-fracking activists. 2015 saw the Rise of the “Big Oil Caucus” – a group of Assembly members including Henry Perea, who received $24,200 from Big Oil, Adam Gray, who received $23,400 and Jim Cooper, who received $24,200. Stop Fooling California revealed that the Big Oil has invested $3,070,480 in the Assembly Big Oil Caucus, based on Secretary of State data from direct contributions and Super PACs. Big Oil also dumps a lot of money into local and regional campaigns. In 2014, Chevron alone spent $3 million (unsuccessfully) to elect their selected candidates to the Richmond City Council. The oil industry also dumped $7.6 million into defeating a measure calling for a fracking ban in Santa Barbara County and nearly $2 million into an unsuccessful campaign to defeat a measure banning fracking and other extreme oil extraction techniques in San Benito County during the November 2014 election. In the November 2016 election, Big Oil spent over $5 million in their unsuccessful attempt to stop the passage of Measure Z to ban fracking in Monterey County. In spite of being outspent 30 to 1, Measure Z won with almost 56 percent of the vote, thanks to a great grassroots campaign. Nechodom, in turn resigned the day after Central Valley farmers filed a RICO lawsuit in 2015 alleging that Governor Jerry Brown's office ordered the California Division of Oil, Gas, and Geothermal Resources ("DOGGR") to approve permits to inject contaminated water in violation of the Safe Drinking Water Act. Not only does Big Oil spend millions every year on lobbying and campaign contributions, but it funds "Astroturf" campaigns to eviscerate environmental laws. Leaked documents provided to Northwest Public Radio, Business Week, and other media outlets in 2014 exposed a campaign by the Western States Petroleum Association to fund and coordinate a network of “astroturf” groups to oppose environmental laws and local campaigns against fracking in California, Washington, and Oregon. The most controversial slide (9) shows a large circle with a smaller circle labeled "WSPA" in the center, surrounded by circles representing the organization's “coalitions and campaigns." These include the Californians for Energy Independence, Californians Against Higher Oil Taxes, Concerned Mineral Owners of California, Kern Citizens for Energy, and “Local Hydraulic Fracturing Campaigns,” all described as “upstream" groups. The slide also features what the organization describes as “downstream” groups, including the California Drivers Alliance, Fed Up at The Pump, Californians Against Higher Taxes, Save Our Jobs, Washington Consumers for Sound Fuel Policy, AB 32 Implementation Group, Tank the Tax, Oregonians for Sound Fuel Policy, Californians for Affordable & Reliable Energy, Fueling California and California Fuel Facts. 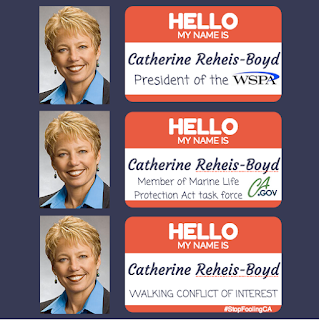 Clean Energy California broke the story on their twitter page when they published an October 27 tweet from Western States Petroleum Association President Catherine Reheis-Boyd promoting the new site. Reheis-Boyd tweeted, "Learn how California's #energy industry is quietly elevating the middle class & improving our quality of life: poweringcalifornia.com"
Big Oil is the most powerful lobby in the West. However, action by committed activists can defeat Big Oil in spite of its money and power, as in the case of the Richmond City Council elections and the passage of anti-fracking ordinances in San Benito County in 2014 and Monterey County in 2016.